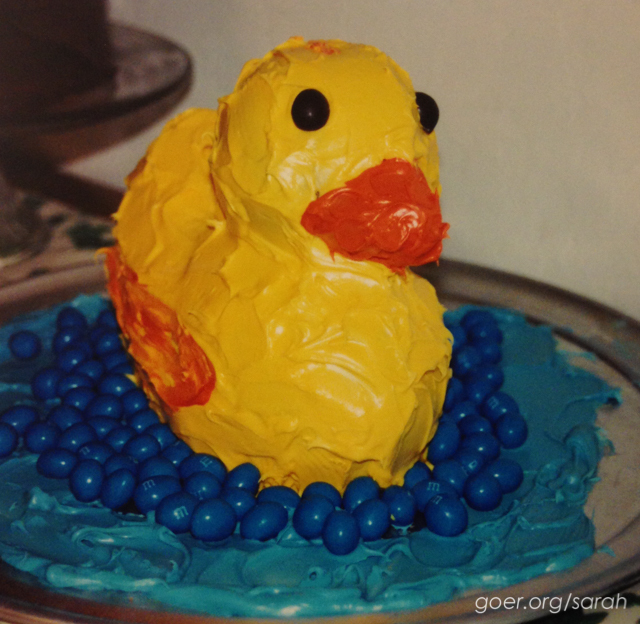 I think it started while she was in high school, but my sister loves rubber ducks. I made this quilt for her way back in 2002. It was the third quilt I made. I love the bright, bold colors. How my first two quilts ended up being pink, I really don't understand. :-) Since I made this pre-digital camera and my sister doesn't live locally, I asked her to take a few pictures for me. Since she's a photographer, she sent me these awesome shots! 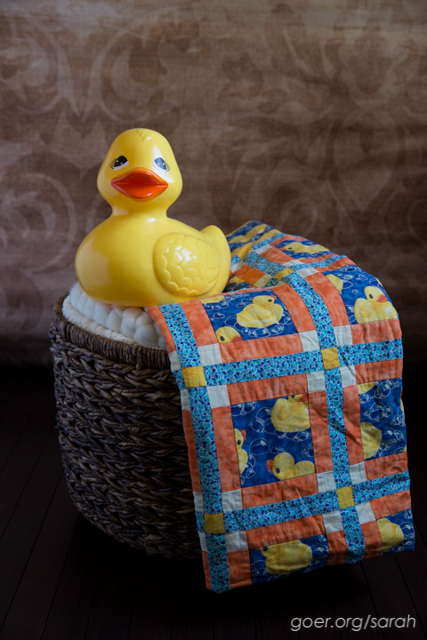 Rub-a-Dub is a 45" x 59" lap quilt. 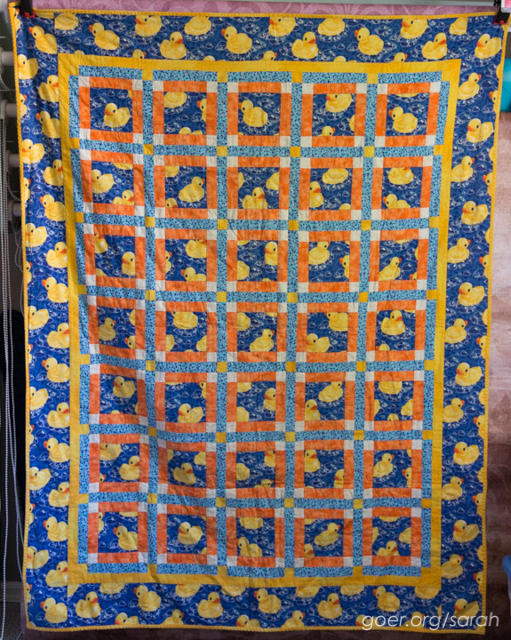 I used the Children's Delight pattern from Quilts from The Quiltmaker's Gift. (The Quiltmaker's Gift is a lovely children's book if you haven't seen it!). It is an uneven 9-patch block which emphasizes the feature fabric in the middle, with sashing between the blocks. I think it was the first time I did strip piecing for a quilt. 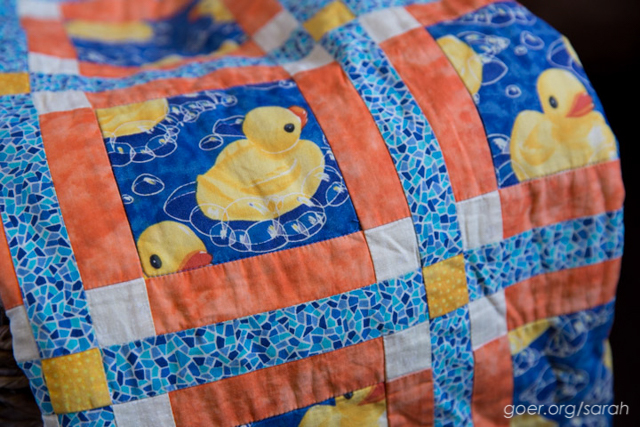 There's minimal straight line quilting, around the border and around the middle section of each 9-patch. 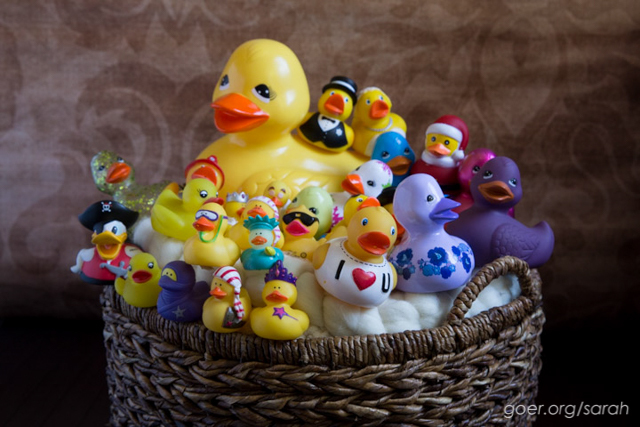 Some of Jenn's duck collection. Jenn's cake from her high school graduation party. 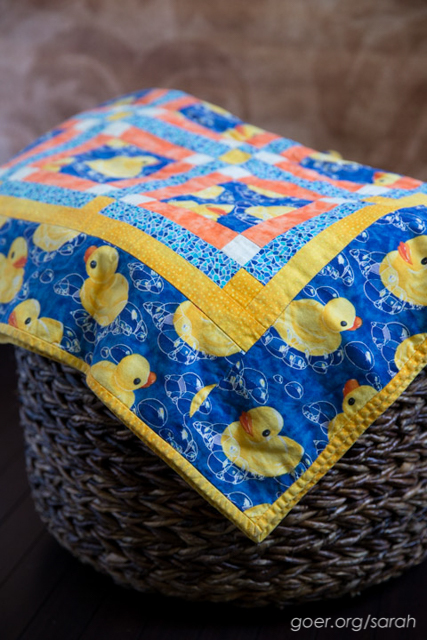 Next week I'll show you the baby quilt I made (years later) with my leftover duck fabric. 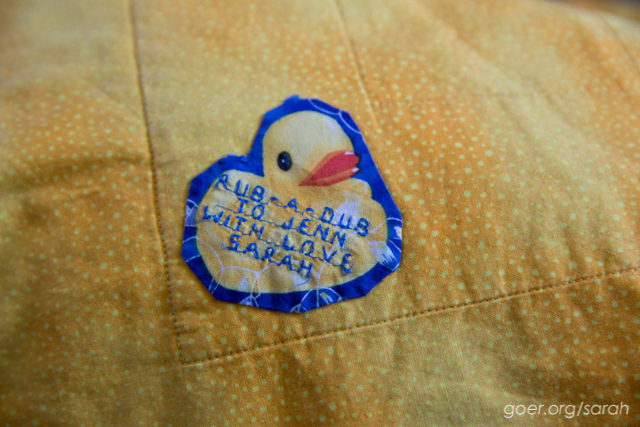 Posted in Quilting on September 11, 2014 by sarah. Love it, and Jenn is a great photographer, too!